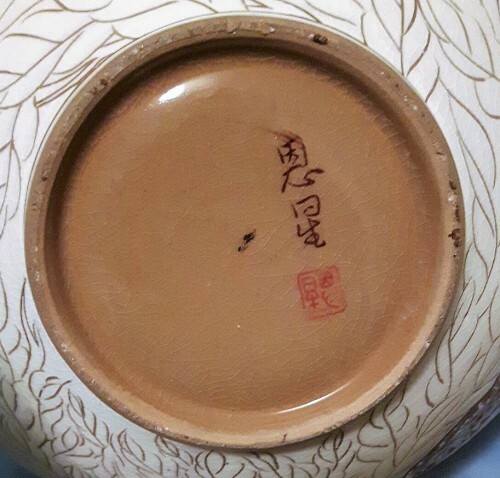 Can anyone identify the mark on this porcelain jardiniere/ vase? Thank you! David. Korean. 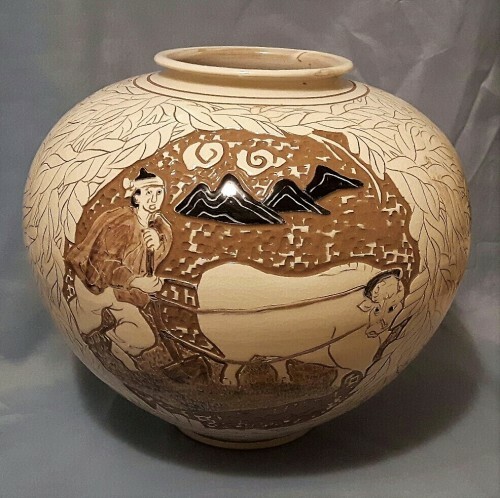 You can tell by the shape, the decoration of a Korean Farmer and his ox, and the off centre signature. 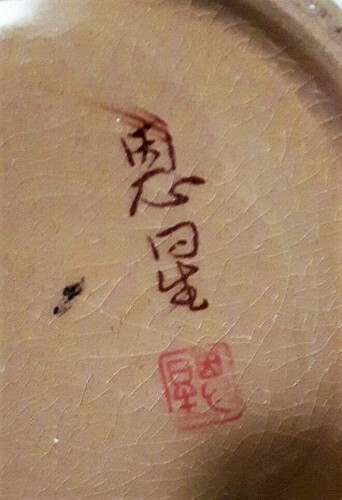 Both the signature and the seal read the same 恩星 - unfortunately I do not know how these would be pronounced in Korean.